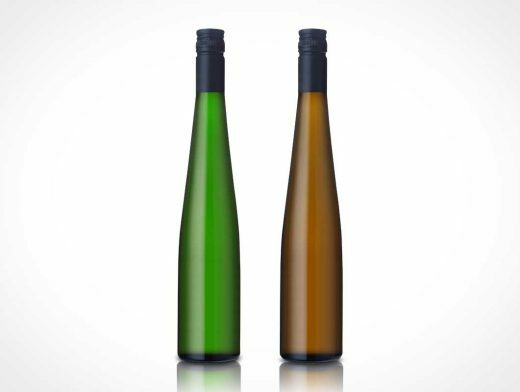 This Photoshop mockup offers a Riesling wine bottle in 2 colours, brown and green glass. Both PSD mockups render the bottles as closed and sealed with surface reflections under each bottle. Highlights and shadows for both bottles are provided on separate layers allowing for each wine bottle to be independently modified. These long neck products do not appear to showcase any wine within their respective mockups and the glass itself is not translucent making it difficult to integrate these mockups into an existing scene.